Sunday, March 19, 2:00-5:00pm, Klezmer Workshop & Jam, led by internationally-renowned klezmer (and Bay Area resident) Joshua Horowitz. $25 sliding scale, for participants. Refreshments included. Listeners welcome, too. 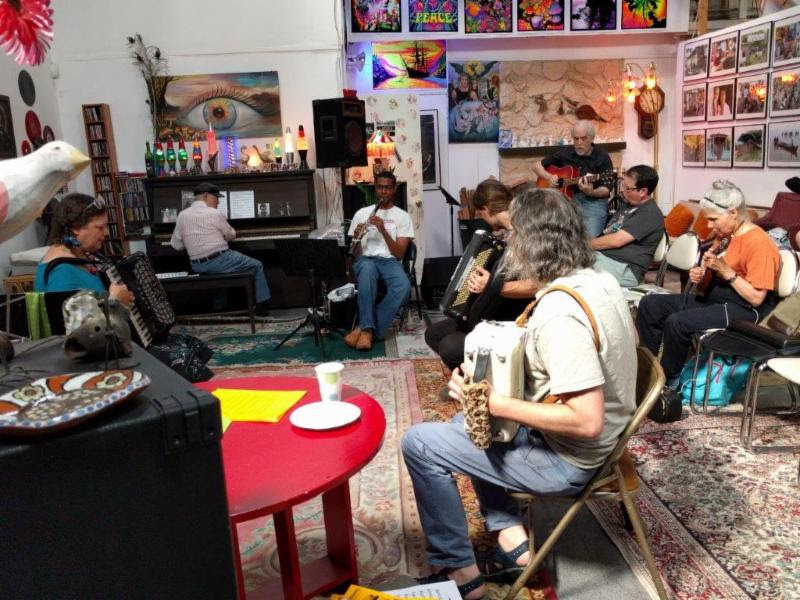 Rsvp to jams[at]klezcalifornia.org or on site. Please specify date/location, your name, instrument, and any questions. Sunday, April 30, 2:00-5:00pm, KlezCalifornia Klezmer Workshop and Jam, led by Cookie Segelstein. Register and more info at same locations as above.